The AAA School Safety Patrol Program guides and directs students, their families and schools to address road safety with the goal of reducing injuries and preventing deaths among 5-12 year olds. School zone traffic causes concern for parents, their children, schools and the community. It is important for kids to learn proper pedestrian practices at a young age. Safety Patrollers are students volunteers trained to direct pedestrians at school crossings, carpool areas and bus zones- they direct children, not traffic. Patrollers learn and practice road safety, leveraging this training to lead the way in keeping their fellow classmates and communities safer. 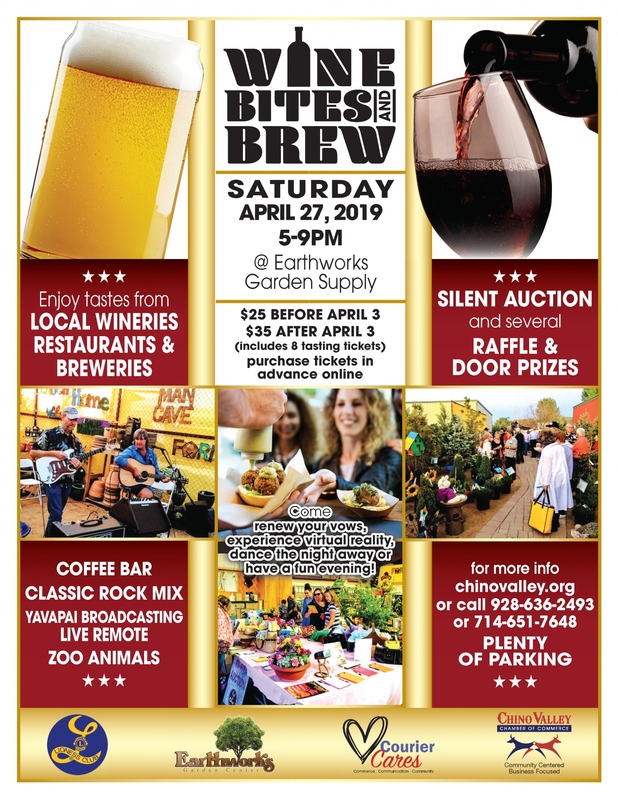 Wine, Bites and Brew, April 27, 2019, 5 - 9 pm @ Earthworks Garden Supply. 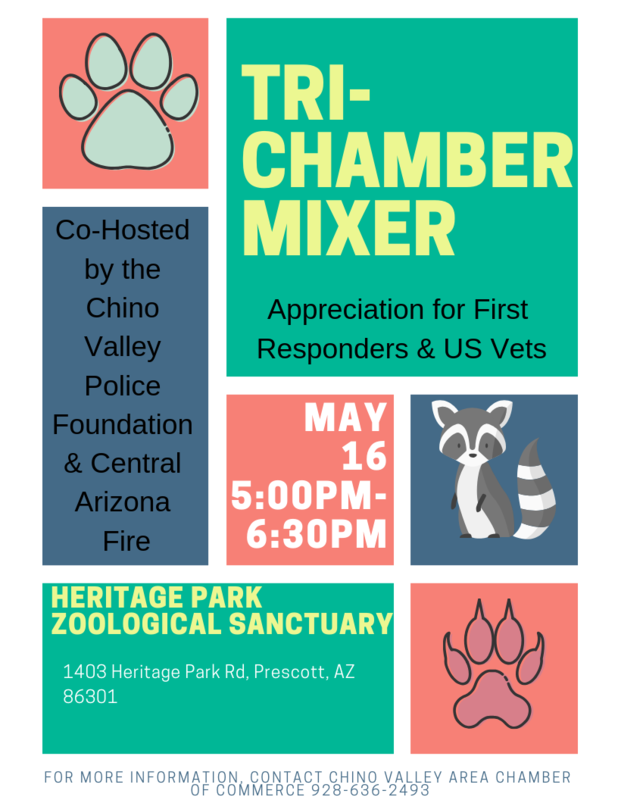 Sponsored by The Chino Valley Chamber of Commerce, The Chino Valley Lioness Club, Earthworks Garden Supply and Courier Cares. Local residents age 16-24 are invited to attend the Young Adult Career and Job Fair at the Yavapai Juvenile Justice Center Lawn Area. Learn about the latest information about careers; will have the opportunity to apply for full-time, part-time, temporary and summer jobs; and meet with representatives from business, healthcare, and non-profit organizations. FIRST THURSDAY OF EACH MONTH is the Monthly Membership Meeting of the Prescott Arizona Kennel Club (PAKC) We are an ALL BREED AKC LICENSED CLUB. We usually meet the first Thursday of the month at the Residence Inn Marriott in Prescott. New member inquiries welcome. We meet monthly and encourage you to check us out. Go to our website for info on the club, activities and membership. Spiritual Adventure in Grand Canyon, Prescott, Flagstaff and Sedona! Ready to dive deep? Join Chamber member, Sage Lewis, for a spiritual adventure of a lifetime! Travel to sacred spots around Central Arizona to explore and experience the the whisper of the Grand Canyon and Pueblo Ruins, the magic of Mingus Mountain, Jerome and Sedona, and explore the many gifts of Prescott. This is a guided circle that will begin in Prescott and continue on daily for 7 days. Spiritual add ons available such as movement, meditation, journeying, journaling etc. ONLY THREE SPOTS REMAINING! The 9th Annual Party in the Pines charity beerfest on June 1 in Prescott will be bigger and better than ever! The 21+ event is in the heart of beautiful downtown Prescott, where Whiskey Row keeps the party going all night. Enjoy a wide selection of beer, great live music, food trucks, and games at this year's festival. Don’t miss out on the VIP section where Partying with a Purpose includes special perks! Party in the Pines is brought to you by Prescott Area Young Professionals and proceeds benefit PUSD Education Foundation. For information and tickets, visit http://partyinthepinesprescott.com/. 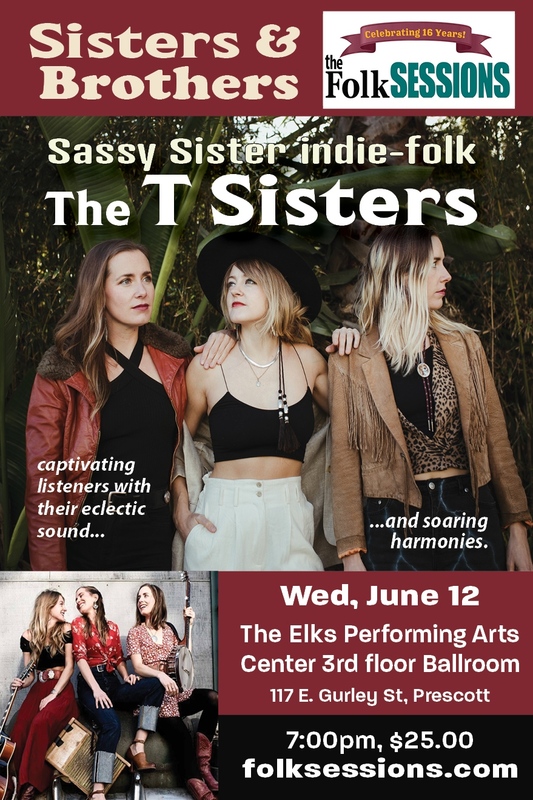 Sassy, sister indie folk....................... The T Sisters, Special Performance. One show only!